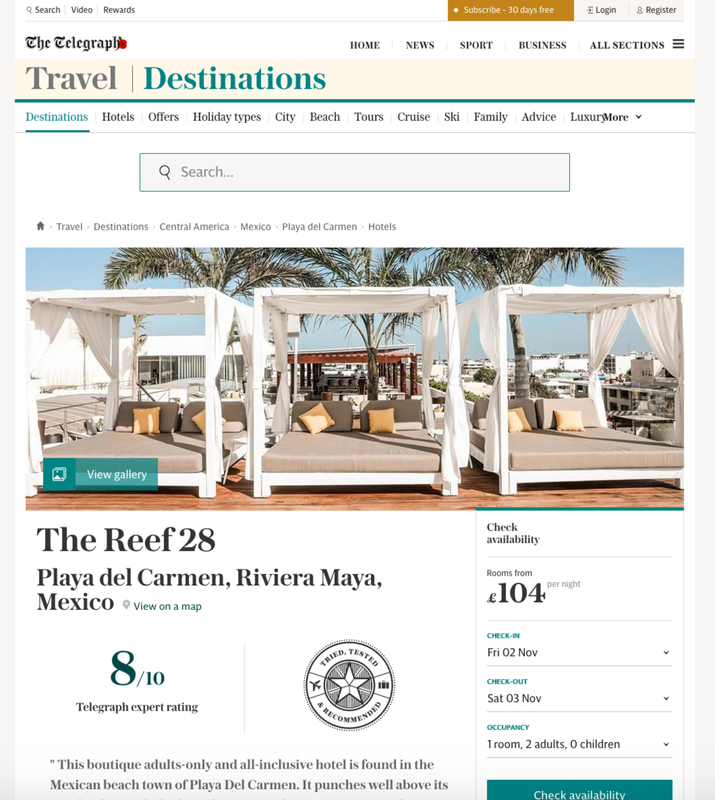 You’ll remember that earlier this year I visited The Reef 28, a new adults-only all-inclusive resort in Playa Del Carmen, Mexico. I wrote a review of the hotel for The Telegraph newspaper in the U.K.
And now I’ve made a quick video about the resort, so you can see for yourself if it’d be a good fit for your next Mexican vacay. Enjoy!